We see in this picture a harp with a figure of an eagle mounted on top. 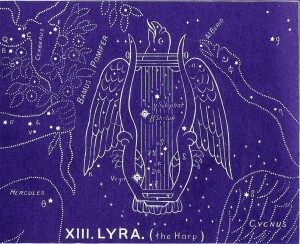 The harp is symbolic of Jesus Christ’s high estate, a position worthy of the highest praise. And the eagle represents the praise that is already prepared for Him. 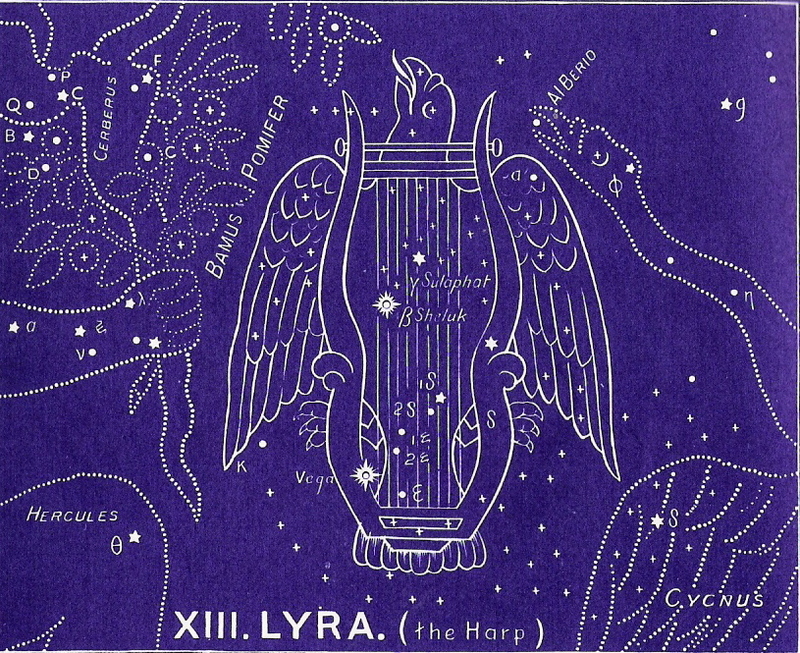 With Lyra, we are reminded of the victory that Jesus, who was both God and man (represented by Sagittarius, the two-natured beast) has won for us with his death and resurrection. We are compelled to offer the highest praise — and really, praise is our secret to real victory in our life because it releases us from the power of sin and fear. What a wonderful thought that all of creation will forever praise the Lord Jesus Christ for His grace toward us. One can only imagine how it might work out — but somehow, throughout all eternity and across the breadth and length and depth of all the universes (both physical and spiritual), His love for us will be the central theme of an all-consuming praise! To continue in the correct order of the ancient star chart, please select Ara next.